Michael recently took a trip to South Dakota to hear Lakota Elder Basil Braveheart speak. During the event Basil walked around the room interacting with visitors, and Michael recorded some of his wisdom and shares those with us today. We discuss the importance of breath, air, rock, and water. 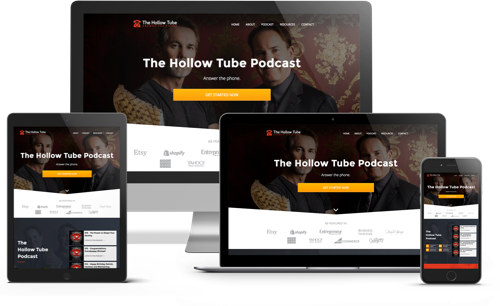 We talk about being thankful for the elements that began life and how they are connected to the hollow tube. Basil Braveheart is an 84-year-old Lakota elder, a Korean War veteran, dan author who holds two masters degrees. We also catch up a bit, and Patrick shares how the naming process for his new stem cell center is going. Michael talks about a story of people working together to help someone, and Joseph Campbell’s Power of Myth. 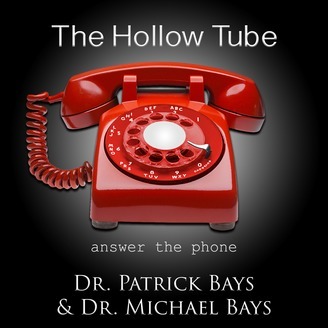 As always, we are taking one step closer to the hollow tube. [02:05] Pat is still working on naming the stem cell company. They took their top 400 names and narrowed it down to 40 and then chose the top 15 and sent them to a law firm. [02:34] Now they are down to the final four and they have two top contenders. The final name will be chosen by the end of the week. [04:00] This name will be a registered trademark and Pat has also purchased multiple domains. [04:24] They are ordering equipment. Hiring employees. And getting the medical record system in order. [04:43] Michael went to a meditation workshop last week. [05:02] When you meditate, you need to think of your spine as a receiver that connects you to realms of higher consciousness. [05:59] Put a pillow behind your back, have your hands palms up on your lap, and look up as if you’re looking at mountaintops in the distance. [07:40] Michael came across a truck stopped in the middle of the road on his way home from work. The driver’s toolbox had spilled all over the road. Several cars stopped and helped the driver pick up his tools. [09:15] It was a remarkable example of humanity. [13:01] Joseph Campbell inspired George Lucas to write Star Wars. He wrote the book The Hero With a Thousand Faces. [13:12] He was an expert on mythology. [16:22] How Gods had human characteristics to better explain things that humans can’t understand. [17:36] The Lakota are more or less monotheistic they believe in the great mystery. They have a sense that everything comes out of the great mystery and is vibrationally interconnected. [18:14] Basil Braveheart is an 84-year-old Lakota elder. He is a Korean War veteran. He is an author who lives on a reservation in Pine Ridge, South Dakota. He also has two masters degrees. [18:29] Michael met him through a mutual friend. He has visited him three times. [19:37] Basil walks around the room and just talks to people. Michael recorded some snippets of what Basil was saying. [20:38] Breath is pure spirit. [20:52] We can use our breath as pure consciousness and unconditional love. [22:10] The universe started with a breath. Be grateful for your breath. [24:56] The eagle bone whistle is made from a hollow bone this whole thing metaphorically relates. [25:17] In the sweat lodge, you are breathing the sacred breath of the creator. [27:53] Volcano eruptions and the early formation of the earth. [28:43] Michael has had deep primordial spiritual experiences in the sweat lodge. [30:00] Have unconditional love for water and all that it embraces.Without water there is no life. Without wind, air, and sun there is no life. If we thank these elements their spirits will morph into our entire being. [33:01] There has to be water in order for there to be life. All of these things that Basil Braveheart has mentioned are integral to the formation of life. [35:17] How Michael would say prayers for his mother at sunrise. He would say his prayer into water, blow the prayer into the water, and give the water to his mother to drink. [36:24] Michael says a prayer into water at his sunrise ritual and then drinks it. [36:58] Ritual use of water is used in so many different cultures. [38:58] Ritual is the way to penetrate your deepest spiritual hardware that is already within you and downloaded by the divine. [39:59] Constance and variables are also ritualistic. You don’t think about what you are doing in the ritual, and your mind is able to notice things that come to you. [42:05] The secret to ritual is consistency. [43:10] When you shame someone you put them down to a level where they only vibrate about 20 calibrations. [44:22] Force nature is a raging brush fire. Force in life is a screaming boss. True power comes from within. Force crumbles when it is exposed to power. [45:31] Gandhi used peace as his power over Britain’s force when trying to decolonize India. [46:08] Using muscle testing and kinesiology to discern truthfulness from falsehoods. [49:10] We make the shift from negative to positive with courage. [50:21] Destroying your own life by living in guilt, fear, and anger. Have a desire to move up and the courage to take the steps that you need to take. [54:18] After doing a ceremony for someone who had a significant shift in their well-being. Basil said I am just a hollow bone. Frank Fools Crow said the same thing. [55:16] This entire show is about purifying ourselves and getting into a ritual and passing into enlightenment. [55:42] Self-actualization is perfect enlightenment. [58:13] Michael is heading to Seattle and some live podcasts are coming up. [58:25] Don’t forget to say thank you in Lakota when you drink water.